In this Spot video from the Sustainability Summit Asia 2018, Sadhguru names the key areas that we need to tackle in the coming years if we want to keep this planet livable for future generations. 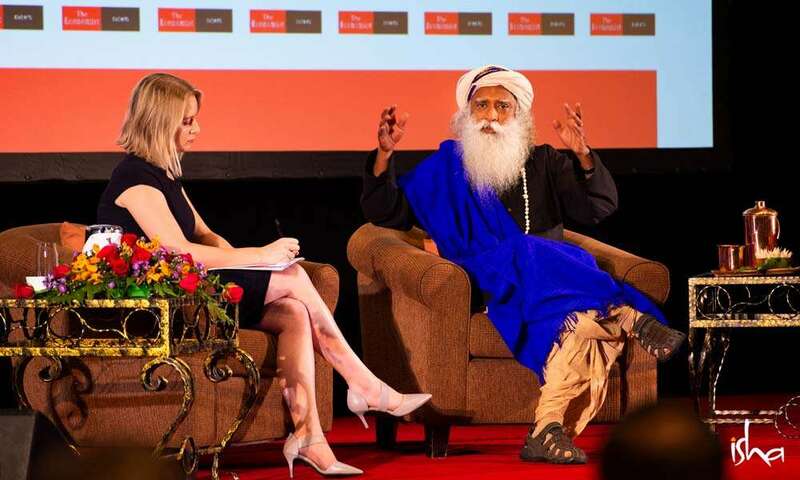 Sadhguru was invited to give this keynote interview at the Sustainability Summit Asia 2018, which was organized by The Economist magazine, on 15 November 2018 in Kuala Lumpur, Malaysia. Q: I wondered if you could talk about the kind of leadership you think is required to generate this kind of concern around conservation and the environment. 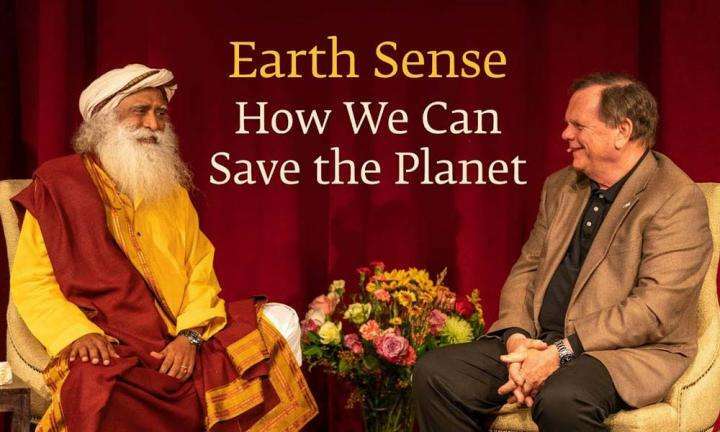 Sadhguru: The reason why I see that ecological concerns have not become everybody’s concern is simply because activists have been taking an attitude of being against everything that is for economic wellbeing. We’ve always pitched economy versus ecology. That’s a fundamental thing that I wanted to change in India. I actually said this, “I am officiating the marriage between economy and ecology.” Because these two things can’t go against each other. There’s no way to do it. You have to go together. I think that is the basic message that needs to go [out], that we need not destroy businesses – we just have to transform businesses. And the necessary time, room and policy support is needed to transform businesses. Ecology is not an academic subject. Ecology is the basis of our existence. Ecological sustainability is mostly understood as pollution coming from cities and industries or whatever. But what is missed is – the biggest disaster on the planet is actually agriculture. It’s the degradation of soil which is the real issue. Everything else can be attended to and reversed in a matter of a few decades. The degradation of soil across the planet is not something that you can turn back; it will take fifty to a hundred years. There’re only two ways to regenerate the soil. One thing is the leaves from the trees and the animal waste and the human waste. Well, the trees are gone long time ago. The next thing is the animal waste. Without animals you cannot enrich the soil. You cannot enrich the soil with bags of fertilizer. Q: I wondered whether in the relationships in the ecosystems around us, you see a certain spiritual process in conserving the environment. Sadhguru: Essentially, spiritual means your experience of life has gone beyond your physical self. So if you experience yourself beyond this body, what will be your experience? Naturally, it’ll be an inclusion of life around you. So what I exhale, the trees are inhaling; what the trees exhale, I am inhaling every moment of our life. But somehow we are going around without any consciousness about this. Spiritual process is not aimed towards ecology, but ecology is just a part of our existence. Ecology is not an academic subject. Ecology is the basis of our existence. To bring this experience to people large-scale is very, very important. Because you can teach as much as you want, you can campaign as much as you want, but people shape their lives according to their experience of life. Especially those people who hold positions of responsibility and power, who can make a difference in the world, their experience of life has to become much more inclusive than the way it is right now. I must tell you a little example. So this is just like a tiger looks at you and thinks “Breakfast!” So this has to change in our mind. A tree is not a table, a tree is not chair, a tree is not furniture, a tree is a phenomenal life, and it’s the basis of our life. This has to become a living experience for everybody – only then, there will be sustainability. Q: Do individuals need to alter their attitudes towards consumption? Or are there larger solutions needed? Sadhguru: Individual people are powerful today. One thing is there is social media. They can do a lot of work sitting at home. They need not go anywhere; they can impact the world in many ways. Apart from that, most nations on the planet are democracies. If the citizens do not manifest this and make it very clear, a democratically elected government will not do anything; they will do populist things. We are willing to sacrifice a few conveniences for a larger and a long-term good – if we do not express that, no government will make any policy. Governments move at their own pace. You do not expect a huge, massive cargo carrier to just make a U-turn like that. I am very clear on this; I am just looking for a one degree turn. If you make a one degree turn and hold it, there will be a U-turn. Q: And you mentioned this morning that you also managed to bring together bits of the Indian government who never met before. Sadhguru: The different ministries – there is water management ministry, there is irrigation ministry, there is rural development ministry, there is agricultural ministry – they never meet. So we got them to meet for the first time and look at what they could do together. That’s what made a huge difference. 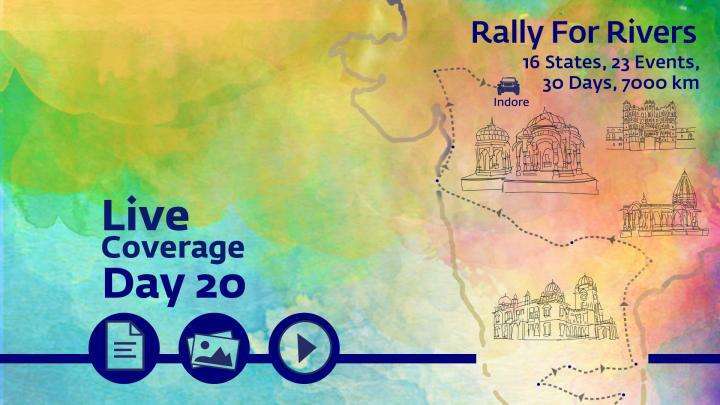 And now the planning commission – or the Niti Aayog, as it is called today – sent out a notification to all the twenty-nine states that this Rally for Rivers policy is the official policy you must implement. Many states have already taken it up. In some, we are directly participating; rest, we are consulting. I’m trying to talk to a lot of activists and tell them the problems that they are protesting against, first, can you find a solution? Look through that. If you can find a solution, suggest the solution, rather than just protesting against a problem. For example, all these soft drink manufacturers, where single-use plastic is going around – they shifted from [glass] bottles to plastic because it was far more convenient for them. The reason why you cannot recycle this bottle easily is because there is a paper label. So we started doing a little bit of research – what is the solution; how can we print on this. There is a company in Chicago who’s manufacturing a certain kind of dye which will come out just like paper label on the plastic. If you do that one thing, all these plastic bottles can go in for recycling. Our idea of what is profit, what is a successful business, has to go through some transformation. It’s not a one day’s job. It needs to happen over a period of time. Definitely it’s happening. Today, a whole lot of businesses are looking at how they can impact ecological sustainability. This was simply absent twenty-five years ago. They’re investing in this direction. Once people put their money in a direction, you can trust that they have intentions. We, as a generation of people, have this responsibility, that in the next ten to fifteen years’ time, at least at the policy level, all the right things happen. See, the next twenty-five years, probably, in the history of humanity, is going to be very crucial in terms of what kind of corrections we make. If we take care of the soil, rivers, forests, agriculture, human health – everything will be taken care of. If we turn this around in the next ten to fifteen years, if we do all the right things in the next ten to fifteen years, I believe, in thirty to forty years, major change will happen in a positive way. But let’s say, we leave it for another twenty-five to thirty years and then try to turn it around, in my estimate, it will take a hundred to a hundred and fifty years to turn it around. Because we’re crossing a certain line. After you cross that line, turning it back is going to be so much more difficult. So we, as a generation of people, have this responsibility, that in the next ten to fifteen years’ time, at least at the policy level, all the right things happen. Why I’m insisting on the policy is, only when there is a policy change, the budget reallocations are there, and a sustained movement towards that is there. Particularly major populations in the world like United States, Europe, China, India, if we make the right policies right now in the next few years, within the next three to five years, I would say, then I think the rest of the world will follow. One major advantage for Asia is we are very sun rich. So harnessing solar energy is going to be a major thing. Technologies still need to go further, but there are many solutions coming forth. I think this entire system that we went into starting from early twentieth century, these power distribution grids, this must go. Power must be generated where it is used. Fundamentally, the most important thing is human beings have lost connection with what is life and everything that nourishes life and sustains life around us. Right now, you will see in any city, probably, because yesterday, I drove into Kuala Lumpur at nine p.m. and every road was jammed. What’s happening in every city is those who live there, work here. Those who live here, work there. I don’t understand why? These are simple changes we can make. So I designed what’s called as one-building cities. We insist on calling them cities. I am talking about fifty acres of land. You build only one acre, fifty floors, and the rest, forty-nine acres, you just leave it. Make it forested; make it water bodies. No waste going out of this land. Easily it can be done. People will live much better. Everything can be right there. They can live there; they can work there; children will go to school there; you can shop there. Once a week, if you want to go out somewhere, you can go. But daily, there is no need to pull out your automobile. 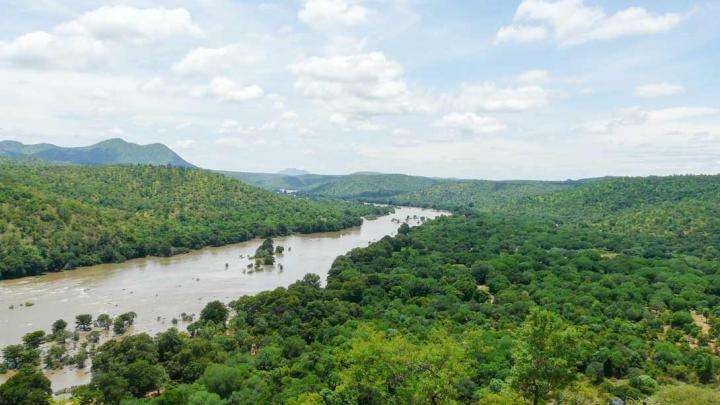 Before we launched the Rally for Rivers, our Project GreenHands had planted a little over thirty-three million trees, which has changed the green cover in one state. But now with Rally for Rivers, we have signed MOUs with six different states, in the next eight years for nearly seven billion trees. And this is government funded, and most of it is going to be done by the governments. Many states have already announced one kilometer along the riverside, they are planting. But now sixty-two to sixty-four percent of the land is owned by farmers. You are not going to talk to them about ecological sustainability because they are just struggling for livelihood. So we have created what is called as agro-forestry with which we have shown that easily, you can multiply your income three to five times in a matter of five years if you shift. Fundamentally, the most important thing is human beings have lost connection with what is life and everything that nourishes life and sustains life around us. This is the disaster we are manifesting in the form of ecological thing [destruction]. Fundamental thing is we have become psychological beings not living beings. We have to transform them into living beings.